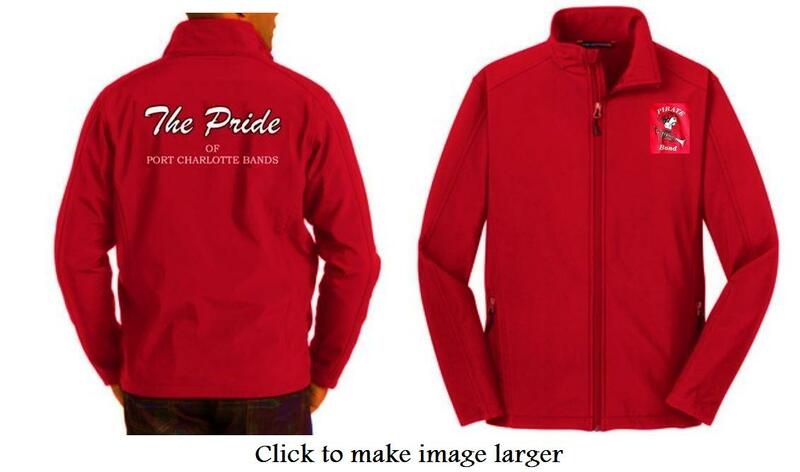 The Pride of Port Charlotte Bands, courtesy of SuperT, is offering all current and alumni band students & parents the opportunity to purchase a PCHS Band Jacket. This is a lightweight jacket that sheds wind and rain. The jacket selected is a Red, Port Authority, Style J317. We will contact you when your order arrives! Click "Purchase Jacket" for debit or credit cards. For other forms of payment (cash, check or money orders), please print form & send with payment to PCHS Band Boosters, Inc., PO BOX 381257, Murdock, FL 33938. Students may bring the form & payment to school.